This month is already proving to be a scorcher, ladies. August is all about soaking up and taking advantage of the last full month of summer. When it comes to maintaining our wardrobes for the sunny season, my team and I have been keeping it cool with our favorite summer staples—mini skirts, sandals, and swimsuits just to name a few pieces. Last month I included plenty of sundresses and bold prints, so this time around I’ve decided to round up a swimsuit or two, casual pieces for everyday wear, and statement outfits that’ll turn heads in the summer heat. Keep scrolling for my latest batch of monthly Style Tips. If you don’t have one already, a maxi dress that shows skin in all the right places is a must this season. Janelle of Wait You Need This is a stunner in her printed off the shoulder dress. Summer days were made for keeping it casual. Olivia of LivvyLand looks anything but overdone in her classic white blouse and light blue jeans. Plus, her straw bag and pink scarf add a touch of fun. Two towels are better than one! 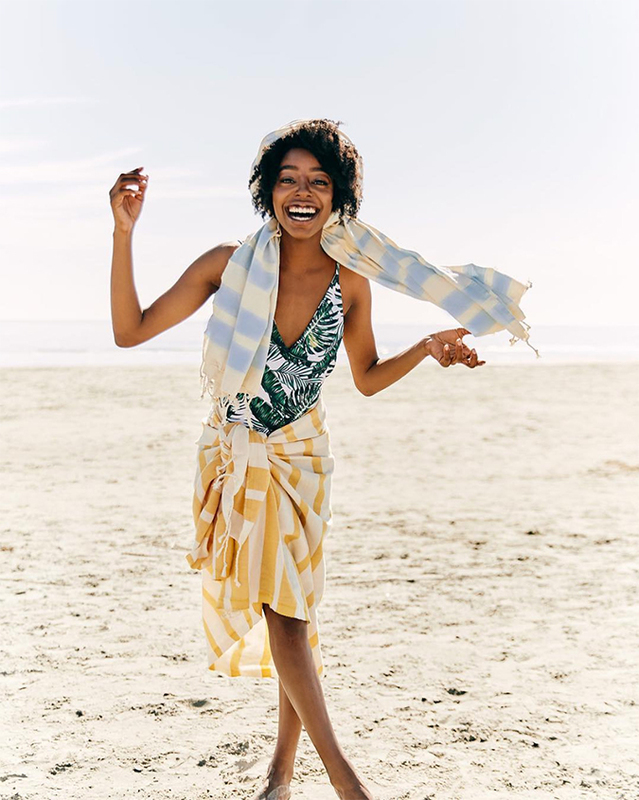 Venita Aspen shows us the definition of the perfect beach day, wearing towels by Fair Seas Supply Co. You can shop the yellow towel HERE, and the baby blue towel HERE! Just add a palm print swimsuit and you’re all set. If you’re looking for a power color perfect for summer, look no further. 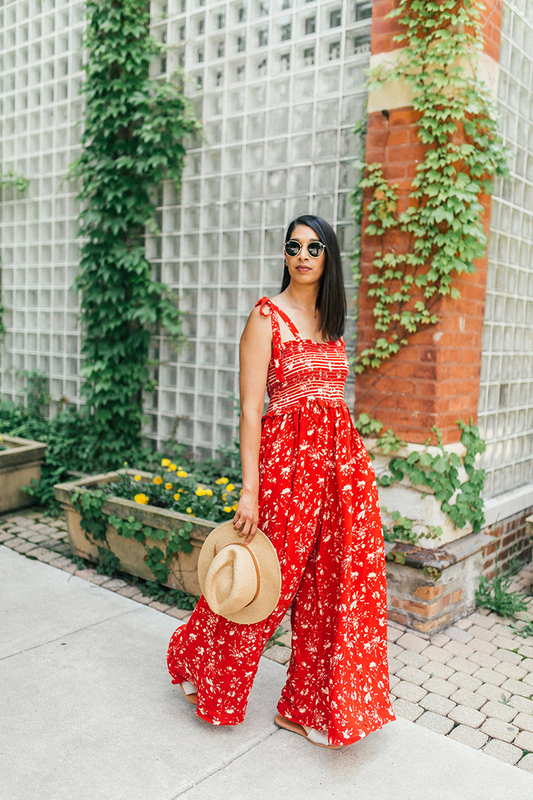 Shaheen of Lows to Luxe is stepping out in a bold and playful Free People jumpsuit that is sure to turn some heads. It isn’t too late to add a swimsuit (or two!) to your summer collection. I love this baby blue bikini on Blake Von D, perfect for a day by the pool or beach. Hear me out on this one. 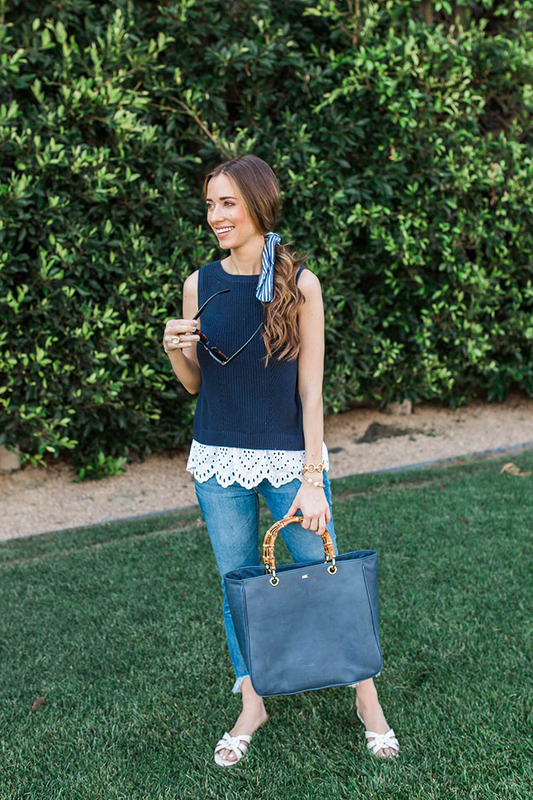 Corset tops are a chic way to elevate a summer outfit if you do it the right way. Play with portions like Sylvie Mus in her corset top and high-waisted bottoms. 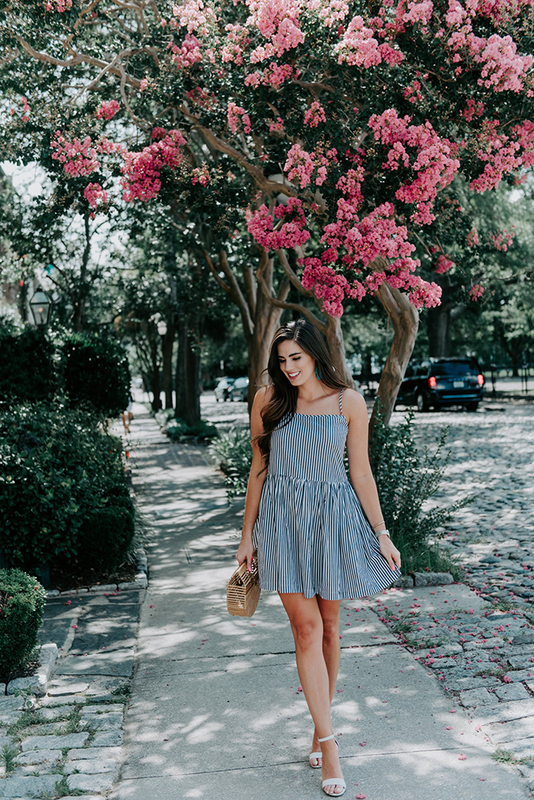 Summer sundresses come in all shapes and sizes, and one of my favorites has to be a breezy baby doll dress. Hilary of By, Hilary Rose let’s her dress do all the talking with white heels and a trendy ark bag. If you haven’t taken a peek at this post yet, you’ll want to after seeing this outfit. My team and I are obsessed with summer sets, just like this one on Kate of Lonestar Southern. Denim is my forever go-to, making it super easy to love soft chambray too. Sushmitha of Miss Minus Sized created the perfect combo when she wore this chambray and lace ensemble. Head to toe navy has never looked better. Mara of M Loves M broke up her monochromatic look with a pop of white in her lace tank and summer slides. Which one of these looks is your favorite?